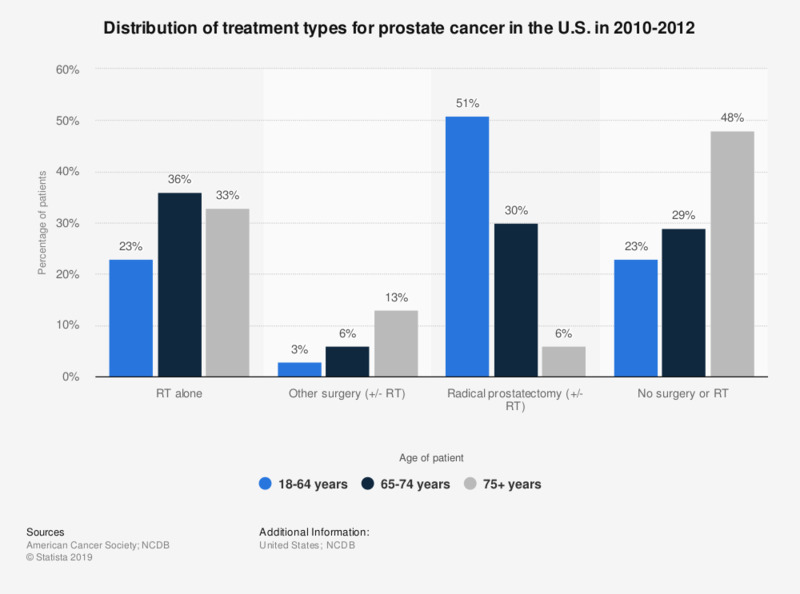 This statistic shows the distribution of treatment types for prostate cancer in the U.S. between 2010 and 2012, by age of patient. In that period, 23 percent of patients aged 18-64 years who had prostate cancer received only radiation therapy. Radical prostatectomy = removal of the prostate along with nearby tissues.